One of the original Canterbury runs, comprising 10,800 hectares, Culverden Estate, in North Canterbury, was balloted by the government in 29 parcels in 1908. Alfred Fisher was a young single man from England. His name came out for one of the larger lots, an 844 hectare property with a mix of hills and flats that he named Mandamus Downs. One hundred and ten years later, Bruce Hoban of PGG Wrightson Real Estate, Rangiora, is offering the property for sale. He says it has a fine heritage. “Mandamus Downs is held in high regard by North Canterbury farmers. 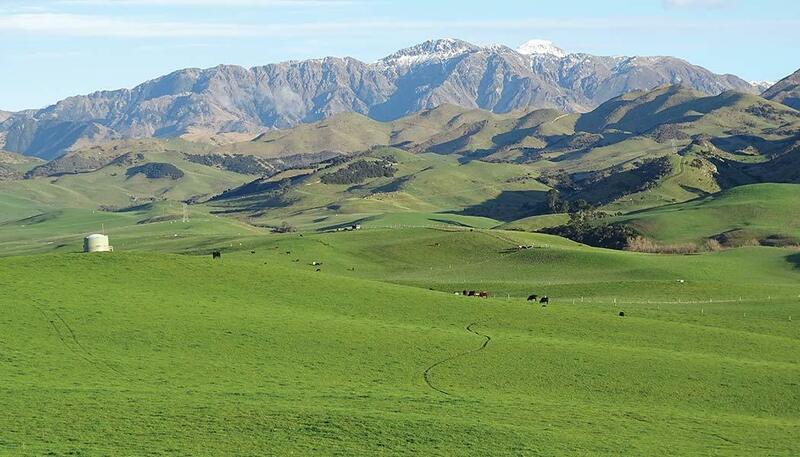 This is one of the Amuri Basin’s most admired grazing properties. It has excellent scale, a good balance of hills, downs and flats, and has never been offered for sale before,” he says. Soon after Alf Fisher moved to the property, his nephew, Harry Hammond joined him to help break it in, leaving the farm only to fight in World War One. When Alf died in the early 1940s, Harry took over Mandamus Downs on his own account. Harry’s son, Bob, married Lorna, who says turning the farm into what it is today took plenty of effort. “When the ballot was run, there were three different grades of land, and on the hill, we were the third grade, so less desirable than the other lots. Much of the farm was in natives at the start, matagouri and manuka, and clearing them was a gradual business that wasn’t properly finished, on the hills at least, until the 1960s. “First Alf, then Harry, and then Bob, did every development on the farm out of income. They were not interested in taking on debt. Although it was a cautious style of farming, it did work,” she says. One important step forward was the property’s private water scheme, developed in the 1940s. As Lorna says, this ‘brought the farm into the twentieth century,’ replacing a windmill driven system with a well and pump on the riverbed portion of Mandamus Downs, supplying an underground mainline to tanks strategically placed over the property on the hill and downs, from where it is reticulated to troughs, the houses and yards. Another boost to the farm came in the early 1960s, when New Zealand’s hydroelectricity transmission grid came through Culverden. “That line, which took power from Roxburgh to Marlborough, went through the farm. To install the line, the state power company had to put in tracks through our backblocks, which made it much easier for us to access the whole farm, and helped open it up, especially for topdressing, making the hill country much more productive,” says Lorna. Although there was good fortune, there were also tough times. When Harry died in 1958, son Bob was only 18. “At that time, the death duties were horrible. As well as dealing with the grief of losing Harry, Bob, his mother Norrie and his sister Margaret had to deal with that as well. First they were evaluated for death duties, then they were re-evaluated, so everything was assessed a second time. Bob’s mother said even the preserves in the pantry were valued,” says Lorna. Fortunately, neighbouring farmers and the stock and station agent stood by the young man, who managed to turn Mandamus Downs into what it is now, under the third generation of family stewardship, marrying Lorna in 1965. “Although it was a struggle for Bob, he settled into it and managed to stay on top of the farm, employing single men until the 1980s, when we began employing married couples. We were cropping through some years, though it was mainly sheep and we upped the cattle numbers in the 1980s,” she says. They also raised three children. Bob died in 2006 and the farm has been leased since. 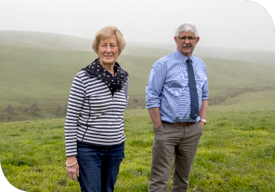 Now re-married, and with none of the family interested in farming Mandamus Downs, although their daughter and family are farming in Central Otago, Lorna has decided to sell. Under its current lease, which expires on 31 March 2019, the property has been used to breed and finish sheep and beef. Under the stewardship of Bob Hammond in the early 2000s, Bruce Hoban says Mandamus Downs wintered on average approximately 6,500 to 7,000 stock units, comprising one third sheep and two thirds breeding cows and fattening cattle. Located approximately 10 kilometres west of Culverden, 46 kilometres south of Hanmer Springs and 106 kilometres north of Christchurch, Mandamus Downs rises from 298 to 534 metres above sea level and comprises approximately 110 hectares of flats including river flats, approximately 323 hectares of downs and 411 hectares of clean tussock hill country. A three to four-bedroom classic rural Canterbury weatherboard house built in 1926 serves as the main homestead. With a veranda on two and a half sides, it is heated by a log fire, coal range and heat pumps, as well as solar heating. Two additional three-bedroom houses are also situated on the farm, plus a range of farm buildings. 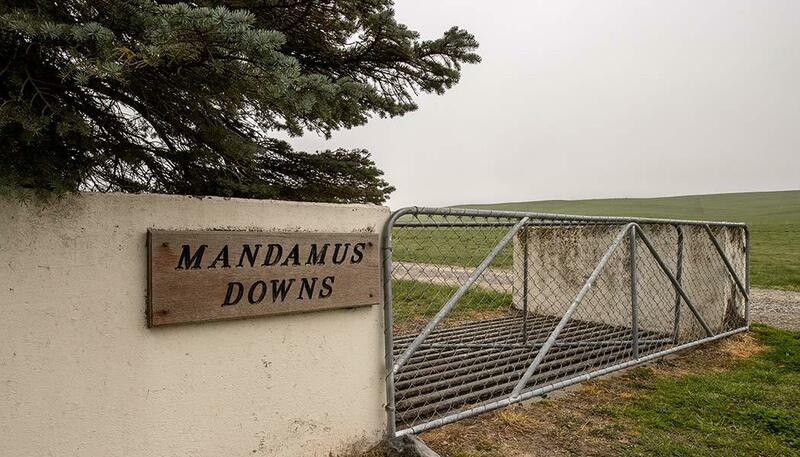 Mandamus Downs is for sale by Deadline Sale, with offers to be lodged by 30 November.